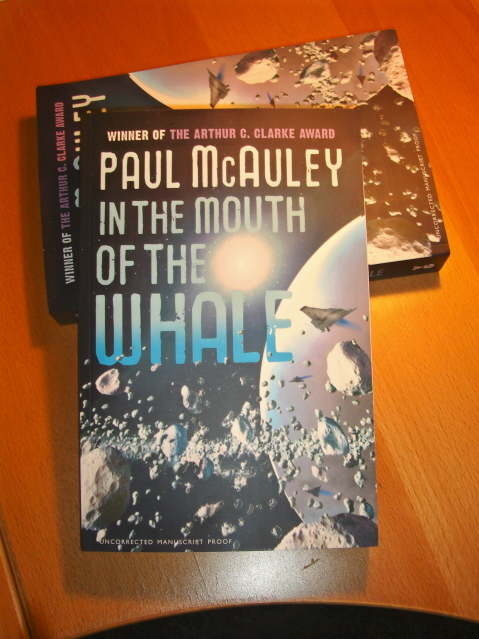 So I have just finished wincing my way through the proofs of In The Mouth of the Whale, and after using up what seemed to be about half a red ballpoint pen making corrections, I've turned them in to Gollancz. And that's that, after almost two years. The book is out of my head and out of my hands, and on its way to becoming a Thing, out there in the world. I've also received a couple of the bound proofs that will be sent to potential reviewers: very nice they look, too. As a break from trying to read a novel word by word, sentence by sentence, I travelled down to Bristol for BristolCon, a one-day convention. Small but very buzzy, friendly, nicely organised (so you didn't notice all the organisation that went into it), mostly book-orientated, with plenty of writers present. Met friends, attended a couple of panels, performed on a couple of panels, read the first two pages of In The Mouth of the Whale to an audience. And because it was a fine warm day, went on walkabout for an hour or so. I lived in Bristol in the 1970s (1973 - 1980), back when it was a black-and-white existential film, and returned every so often, but haven't been back for, oh, at least ten years. Long enough to feel like a ghost searching for my own past. Some of the places I remembered are still there; others aren't. George's bookshop at the top of Park Street, for instance, where one gloomy day, in a kind of wretched gallery at the top of the shop, under a rain-lashed skylight, I discovered an immaculate remaindered first edition of William Golding's The Pyramid God. A snip at £2, especially as I later got it signed, after Golding had received his Nobel, and his knighthood. Also gone: Revolver Records, where I spent far too much time and money, buying LPs made of grooved vinyl you played with diamond needles. It was a long time ago.